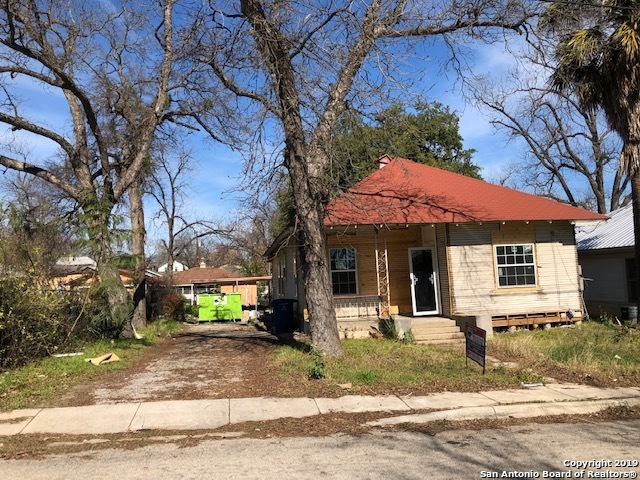 All GOVERNMENT HILL homes currently listed for sale in San Antonio as of 04/23/2019 are shown below. You can change the search criteria at any time by pressing the 'Change Search' button below. "MOVE-IN READY. THE DISTRICT LOFTS - Ideal investment in one of the hottest locations. Modern chic ext/int. Open floor plan,10' ceilings on main floor, Bosch appliance package w/ Frig. wine cooler, waterfall quartz counters w/ GLASS backsplash in kitchen. Enclosed garage w/ ample storage. Energy efficient. 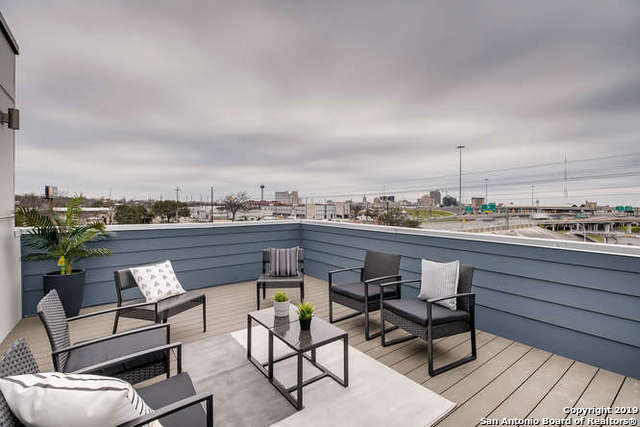 Watch fireworks from balcony AND private rooftop deck. Walk or bike to Pearl Brewery. Low-maintenance. GATED. 10-yr warranty." "THE DISTRICT LOFTS - The ideal investment in one of the hottest locations. Corner unit. Floor plan features 10' ceilings on main floor, wood floors in kitchen, dining and living, Watch fireworks from balcony AND private rooftop deck, SS appliances, quartz counters w/tile backsplash in kitchen & enclosed garage w/ ample storage. Energy efficient. Walk or bike to Pearl Brewery & downtown. Low-maintenance living. Pre-construction pricing. 10-yr warranty. *Photos & plans are representative." "THE DISTRICT LOFTS - The ideal investment in one of the hottest locations. Modern chic ext/int. Open floor plan features 10' ceilings on main floor, wood floors in kitchen, dining and living, Watch fireworks from balcony AND private rooftop deck, SS appliances, quartz counters w/tile backsplash in kitchen & enclosed garage w/ ample storage. Energy efficient. Walk or bike to Pearl Brewery & downtown. Low-maintenance living. 10-yr warranty. *Photos & plans are representative." "THE DISTRICT LOFTS - ideal investment in hottest location. Modern chic ext/int. Open floor plan w/ 10' ceilings on main floor, wood floors in kitchen, dining and living, Watch fireworks from balcony AND private rooftop deck, SS appliances, quartz counters w/tile backsplash in kitchen & enclosed garage w/ ample storage. Energy efficient. Walk or bike to Pearl Brewery & downtown. Low-maintenance living. 10-yr found. warranty. *Photos & plans are representative." "Come see this beautifully maintained historic home in the up and coming neighborhood of Government Hill. Soaring shiplap-covered ceilings, huge windows, and beautiful hardwood floors are just some of the charming features of this turn-of-the-century home. 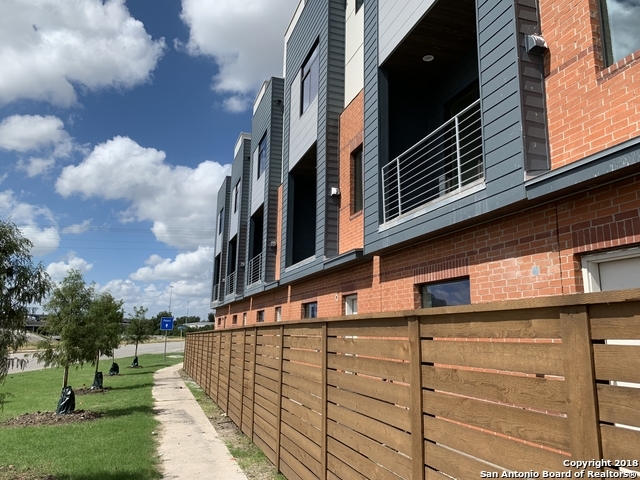 It is blocks from the Pearl, adjacent to Ft Sam, minutes from downtown, and a short drive to great San Antonio spots such as the Zoo, the Botanical Gardens, & Brackenridge Park! Bonus room could be third bedroom." "REBORN contemporary looking home located in the heart of booming district in San Antonio! Airbnb perfect! 3 bedrooms 2 baths AND an additional room in the back with half bath. House has dual entrance from Carson St & Gray St. RE-wired electrical, RE-plumbed, RE-done foundation, RE-insulated, RE-roofed, new kitchen, bathrooms, windows, light & water fixtures, AC=RE-BORN! So cute leveled front and backyard.You could buy a pricier home, but this is a deal!" 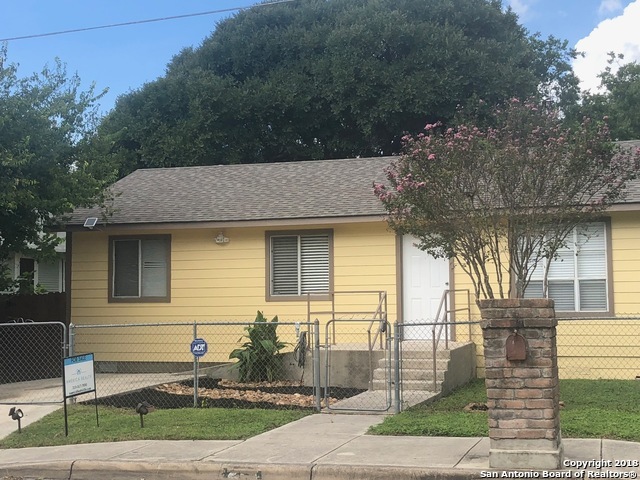 "3 BED/2 BATH + STUDY OPEN-CONCEPT 1380 sq ft. HOME on Oversized Corner Lot in desirable GOVERNMENT HILL close to The Pearl, Downtown SA, Ft. Sam and AT&T Center! Recent updates throughout and MOVE-IN READY!! Oversized Back yard (sits on 2 lots) is perfect for enjoying summer BBQ's or relaxing overlooking mature Pecan Trees. A MUST SEE!" 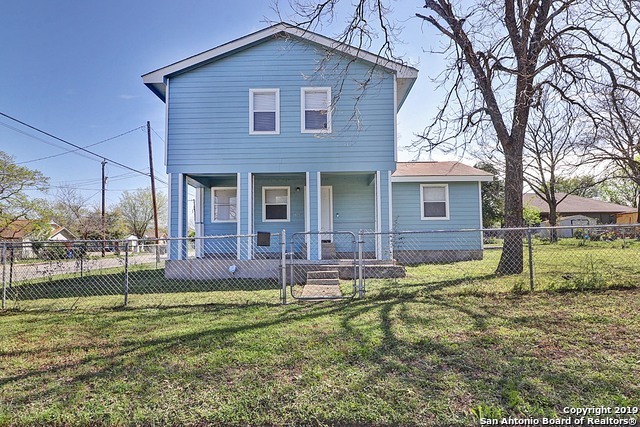 "Investors, Built 1920, 2 blocks from Historic Government Hill area, 4 bedroom, 2 full bathrooms, Original home was a 3/1, Room addition added a Master bedroom and a Master bathroom, laundry room, and a Pantry. Renovations: New windows, Plumbing, Electrical, HVAC ducting, Concr Piers. Home has high ceilings, long leaf pine floors, Recent Roof. Carport. 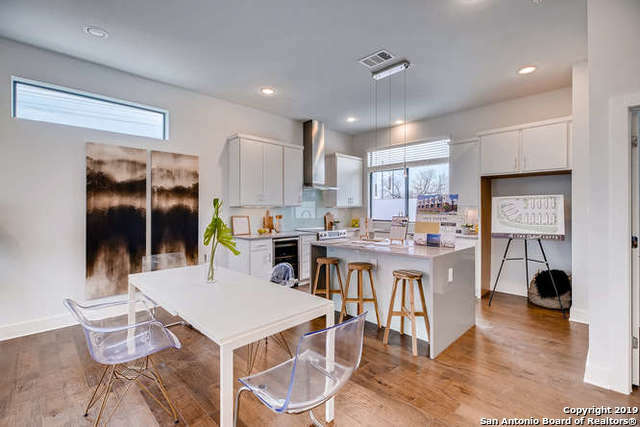 Comps renovated values from $230k-$280k, from $171-$191 PSF, Realtors to verify, see CMA photo's 2 & 3.Across IH-35 from Dignowitty Historic distr"
"Come view this Undated home located in the highly desired Government Hill neighborhood! Less than 1.7 miles from The Pearl. Open floor plan, single story, 3 bedroom, 1 full bath is Move in Ready.Original wood flooring. Easy access to IH-35 and Ft Sam, Downtown San Antonio, Witte Museum and San Antonio Zoo, ATT center. Easy to walk or ride your bike to restaurants and entertainment. Don't miss out!" "Location! Location! Location! Cute 3 bedroom 1.5 bath in the popular Government Hill Subdivision. One mile from the Pearl. New paint, resurfaced tub. One story four sided brick home is a must see.Corner lot with plenty of parking for your family gatherings and events. Call today to schedule your showing. Easy access to I-35 and minutes away from down town." "Owner needs to sell this multiunit complex in an upcoming area. This apartment style building needs a good contractor and maybe a little more than a handy man. The front unit has 3 bedroom and 1 bath. The upper unit is a 2/1 and the back unit is a 1/1. 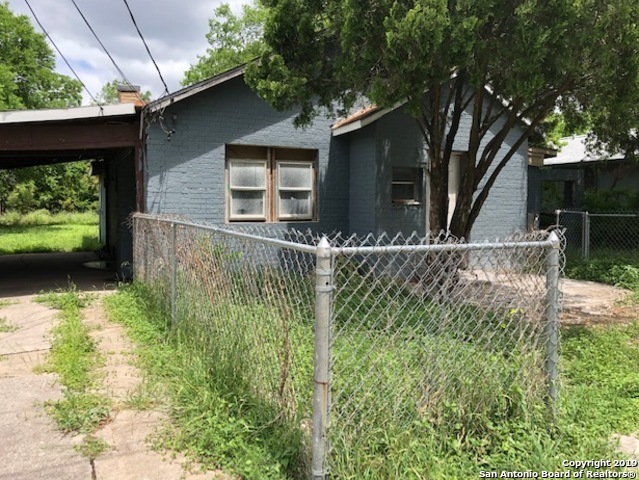 All of the properties are connected and in need of extensive updating such as paint, sheetrock, windows, AC, etc....But all this could be your gain as this area is becoming very POPULAR!" "Government Hill Pear area INVESTMENT! Rented already 12 month lease. Built 1996. One single story 3 bedrooms 1 bath nice home. Remodeled recently. Replaced appliances, roof, and siding. Fresh paint and trim. Flat leveled out lot. Yard size is large with mature trees. Shed in the back. Has concrete ramp and railing leading to front door in front and back yard. Fenced yard. Small front yard. Easy rental as area is highly sought out. Easy access to Walters and IH-35. Entire area/street revitalizing"